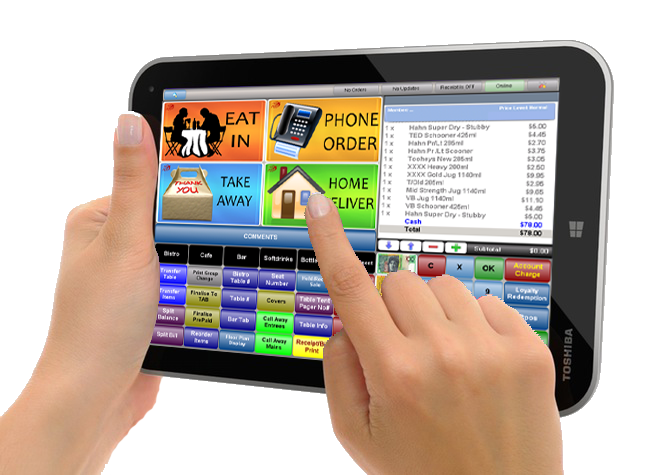 The all new Toshiba 8″ tablet features a powerful Quad Core Processor and is a perfect fit for running SwiftPOS Touch. Standard with Windows 8.1. 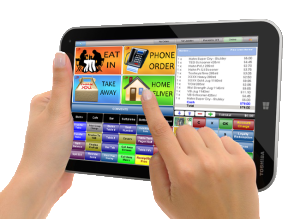 Full SwiftPOS touch interface for advanced features and functionality. Interface with common peripherals such as receipt printers, cash drawers, magnetic card readers and scanners. The can be permanently mounted or used as hand held ordering devices.